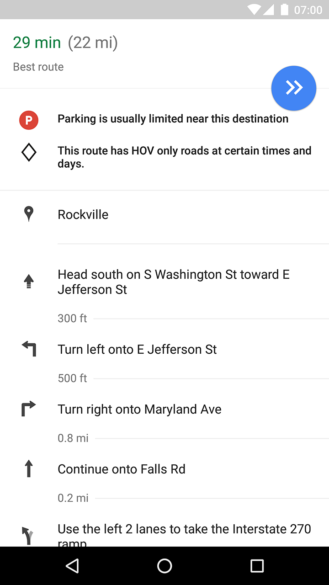 Parking availability will be shown as a small rounded P icon next to your route duration estimate when you search for driving directions, followed by more descriptive text. As Cody's teardown showed, there are three levels to look for: Limited, Medium, and Easy. Limited parking will get the P icon to turn red. 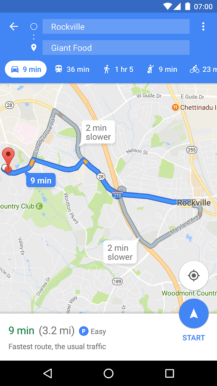 Once you start driving toward your destination, you can expand the directions to get a more descriptive explanation of the parking situation. Our tipster tells us that according to his tests, parking availability shows up for public destinations like malls and airports and various attractions. 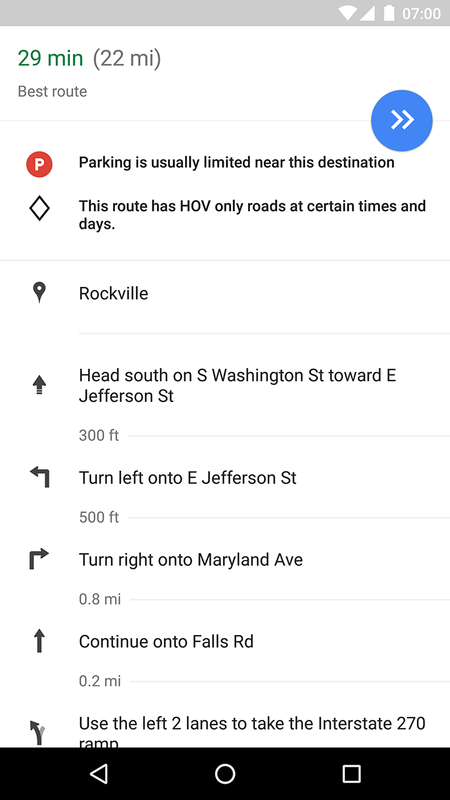 The option doesn't seem to be is live on Maps v9.44 beta (APK Mirror link). But at this time, we can't yet tell if this feature is live for select locations only, all over the US, or if it shows up in other countries too. 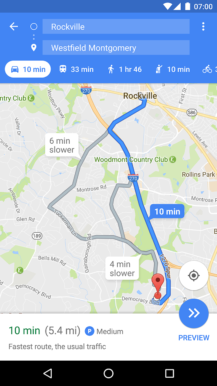 Google has officially announced the feature on its blog, detailing how the parking difficulty is measured and shedding a light on which areas the feature is available in now. 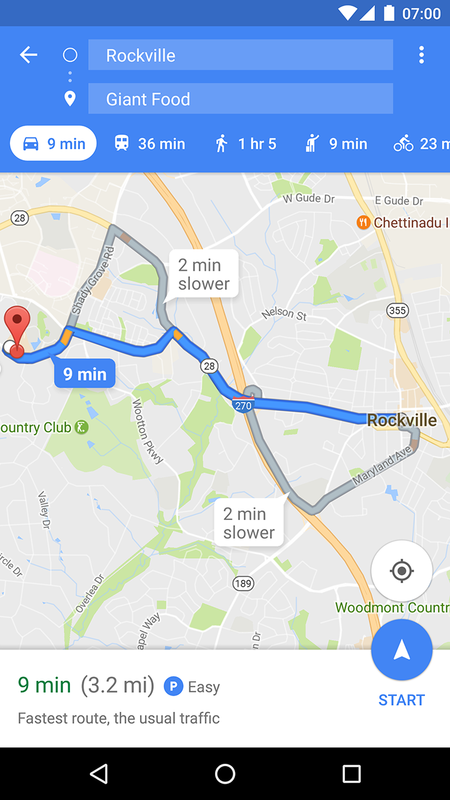 Parking difficulties range from limited to medium to easy and are based on historical parking data (similar to how we calculate Popular Times and Visit Duration). 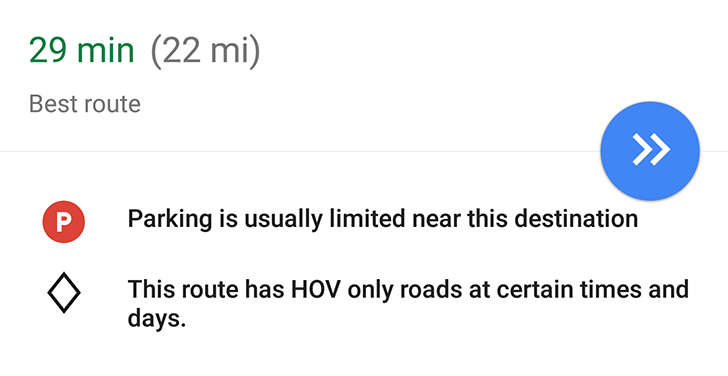 This post previously stated that the feature seems to be a server-side switch that's showing up for some users on v9.44 beta, but following more tests, we can say for sure that it is indeed a feature of Maps v9.44 beta. 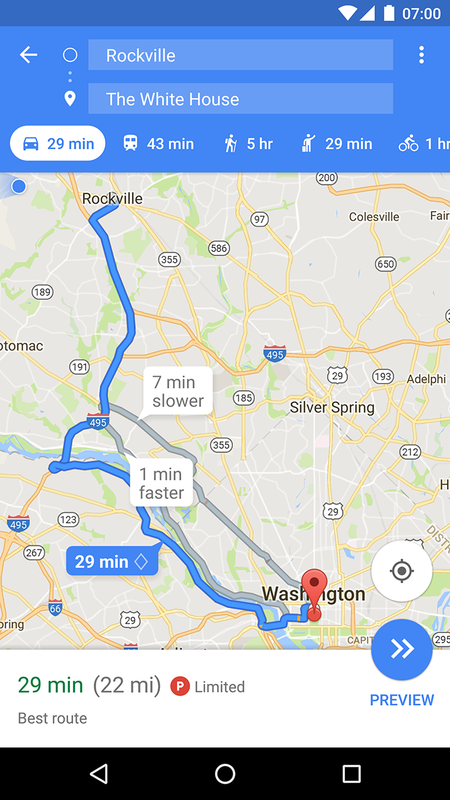 However, your mileage will vary on whether or not it will work in your country or city or even the destination you're going to. Maps v9.44 beta also brings one more change: "Atmostphere" photos when browsing a place's listing. 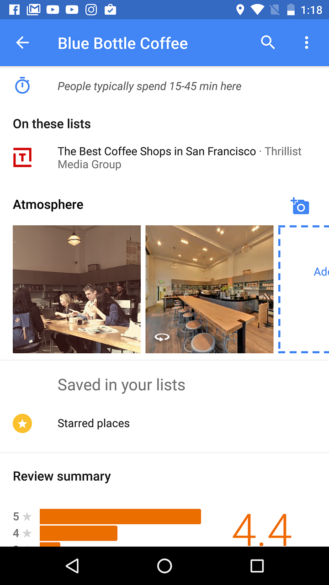 Maps already uses smart photo algorithms to single out photos of the food in "From Menu" and photos taken "By Owner", so "Atmosphere" is one more way to quickly check the ambiance of a location before you head there. If you're still waiting for the update to hit your device, you can jump the queue and grab the v9.44 beta installation file directly from APK Mirror.